Last night the University of Virginia beat the number 3 team in the land, Duke. For the 4th time this year, Duke players walked off as students from the opposing school ran onto the court. What goes on in these court stormings? I can never tell. Unfortunately, I have missed every chance I have had (count 3) to rush onto a football field or basketball court in my 5 years at two universities. This is gaining some coverage because Coach Krzyzewski complained about player safety. This is a fair claim, but not the focus. So what’s my gripe? The fact that every single time a top 10 team loses to an unranked team, students want to have a pow-wow (though I rather call it something else) in the middle of the court. The fact of the matter is, students go to games drunk. They cheer on their team through ups and downs. They are emotionally invested in the game. But it should stop there. Watch any court rushing and you will see tons of kids piling into the middle with their hands in the air. After the initial group has formed an unmovable cluster in the middle, people add on to the peripherals. And I just can’t understand why. It’s downright stupid. Is it because kids just want to be on the court? Go to the arena when there is no game, you can walk all over it. Maybe kids want to be close to the players? Well, these are student athletes, so chances are they are walking around campus or going to class. In some sort of ephemeral moment of glory, these kids crowd the players preventing the media from really letting these mostly unknown players have their shining moment. 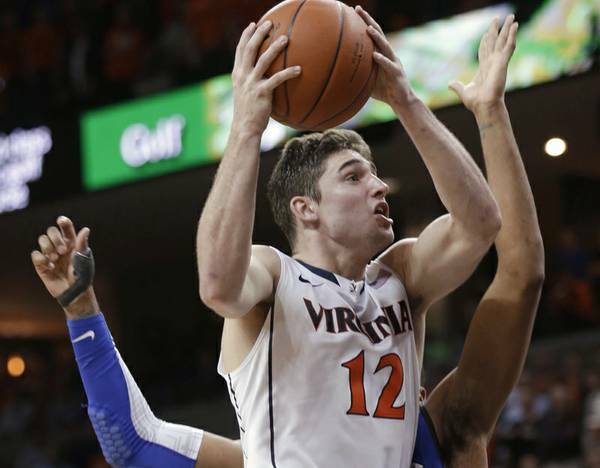 Will any Virginia player (besides Joe Harris) be drafted? Probably not. Let those players get the facetime and 15 minutes of fame they deserve. 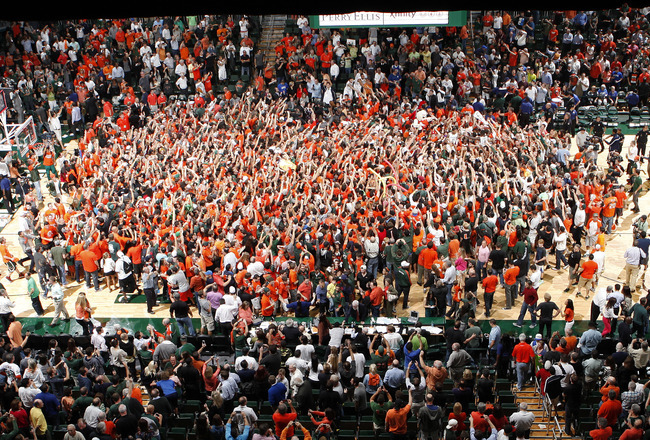 Inevitably, this “court storming” trend needs to stop. It seems likely that sometime soon, a drunken student will fall, get trampled, and eventually die, like some Guns n’ Roses concert or Wal-Mart on Black Friday. If you beat the #1 team in the nation, I have no problems rushing to greet the heroes. Minnesota, go ahead and storm your court after beating Indiana, it was your defining moment. Same for you Illinois, especially after a last minute layup. But Virginia? Really? Duke has lost 4 times now. 4! And each time, the opposing team has stormed the court. The top 10 teams combined have now compiled over 30 losses. Add on any in-conference rivalries and we are looking at 30 to 40 times students will gather on the court, and not every venue is as sober or as safe as Virginia. The SEC has fined students for rushing the court since 2004. But the fines won’t stop the students. These kids need to realize that if you want to celebrate, go to a bar, hit the quad on campus, or outside the arena. Don’t rush the court and stand there. Chances are, the players will come to the student section and give the attention they deserve.